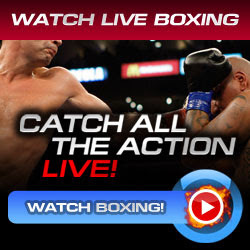 Diego Magdaleno, the current North American Boxing Federation (NABF) Super Featherweight Champion will be fighting to his fellow Mexican-American opponent Alejandro Perez on July 15, 2011 live from Texas Station in Las Vegas, Nevada. It will be the second title defense of Magdaleno since he won the title over Marcos Leonardo Jimenez. Diego Magdaleno successfully defended for the first time his title belt against Gilberto Sanchez Leon on last May. Magdaleno won an impressive 3rd round technical knockout victory in the early minute of the round. Sanchez down on the second and twice in the third round. The first knockdown shot by Magdaleno was been a controversial due to a fouled punch. Alejandro Perez, the challenger in this bout came from a big victory as he recently defeated Antonio Escalante in the 12 seconds time remaining in the first round on last March. The counter right of Perez sent Escalante down resulting to an early finished. Alejandro Perez has fought the newly crowned World Boxing Association (WBA) Super Bantamweight World Champion Rico Ramos but he lost via unanimous decision victory that was in 2009. Alejandro Perez weighed at 129 pounds.